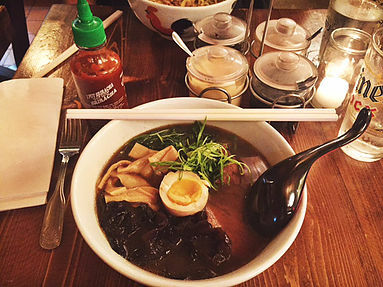 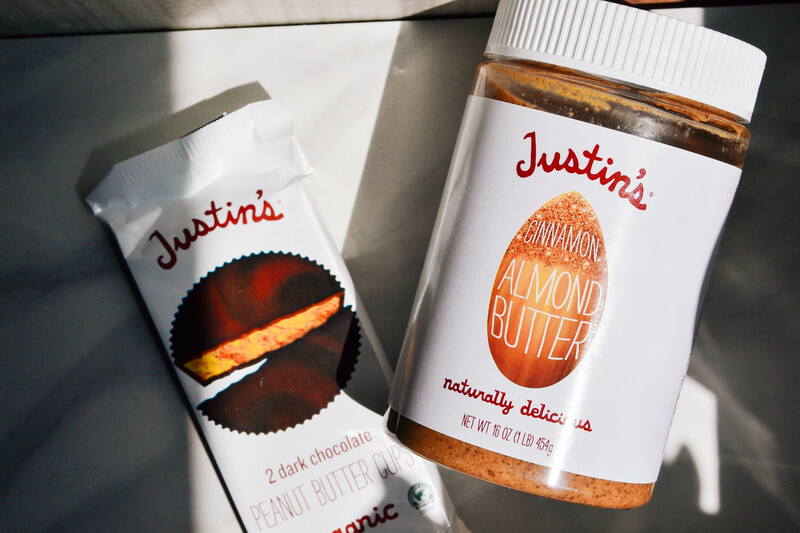 A few weeks ago when I was really on the ~low carb~ bandwagon I was jonesing for a carby sweet treat but hit a dead end for what I could actually eat. 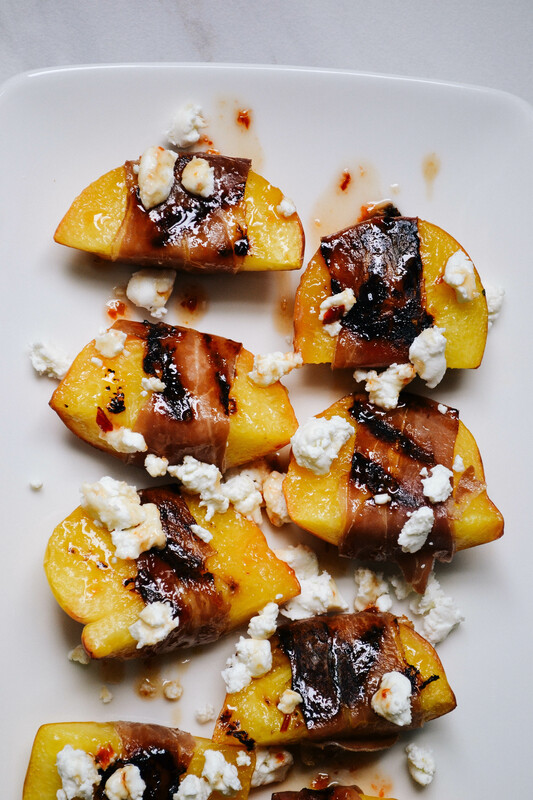 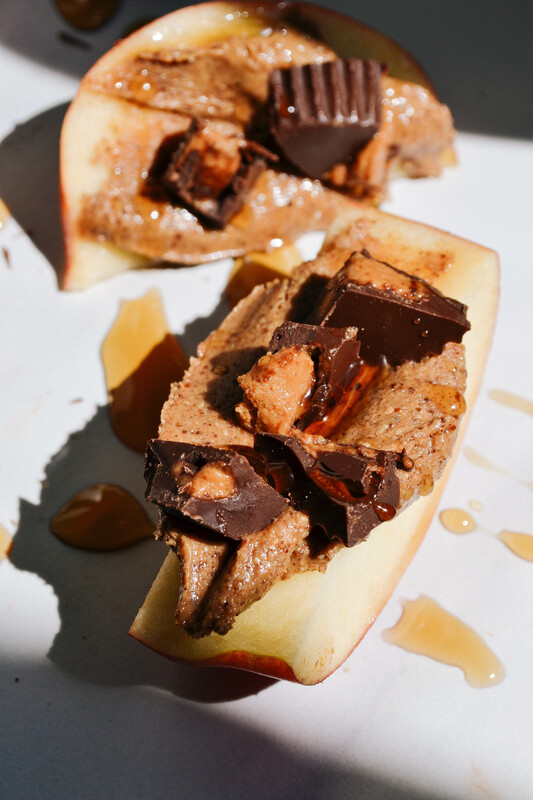 For awhile I was making this snack over a rice cake, and while that combo is still delish, swapping the cake for an apple is how this absolute fave was born. 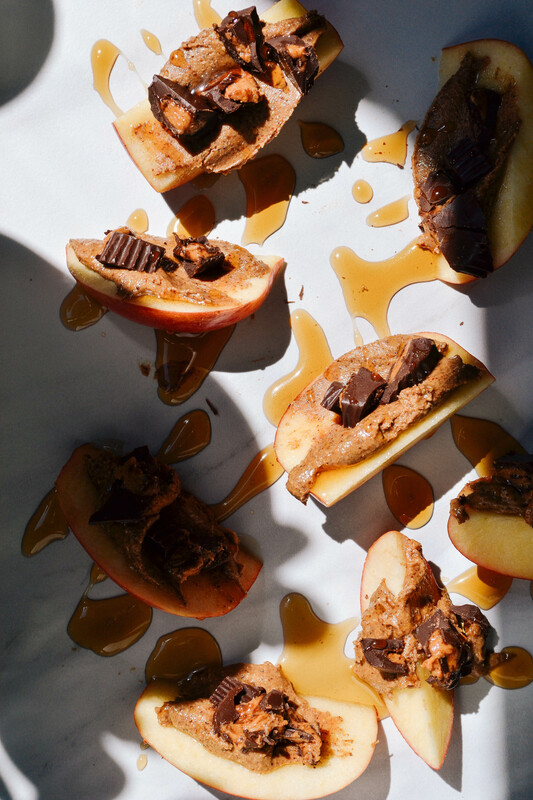 Flash forward to this past weekend when I was stocking up to make these peanut butter treats and totally spaced that I had picked up cinnamon almond butter by accident. 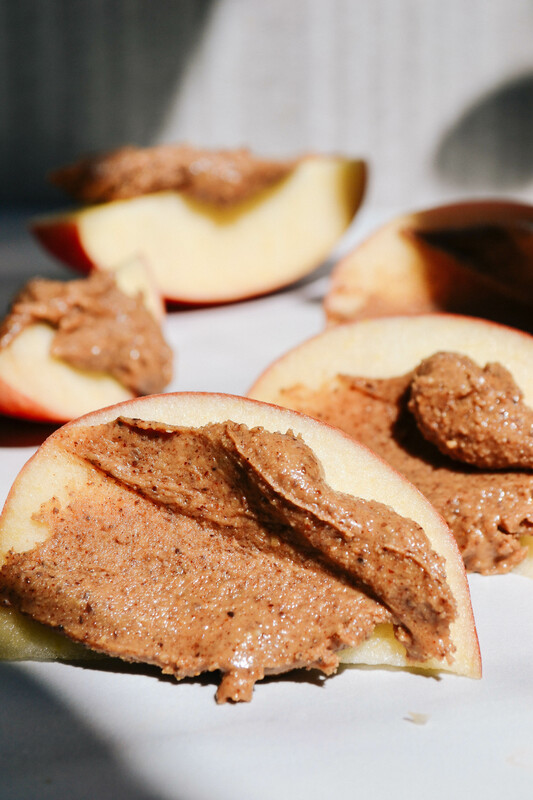 Insert quote about ‘there being no accidents’, because the cinnamon almond butter was an added bonus to an already poppin’ flavor combination. 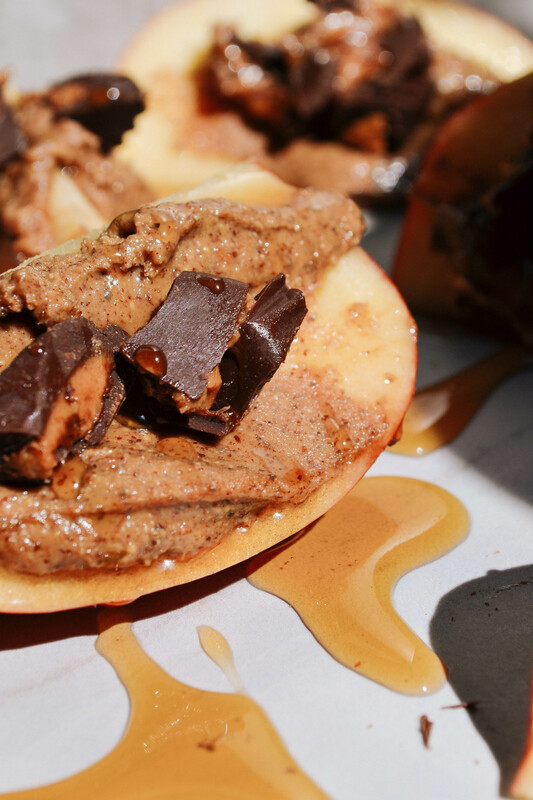 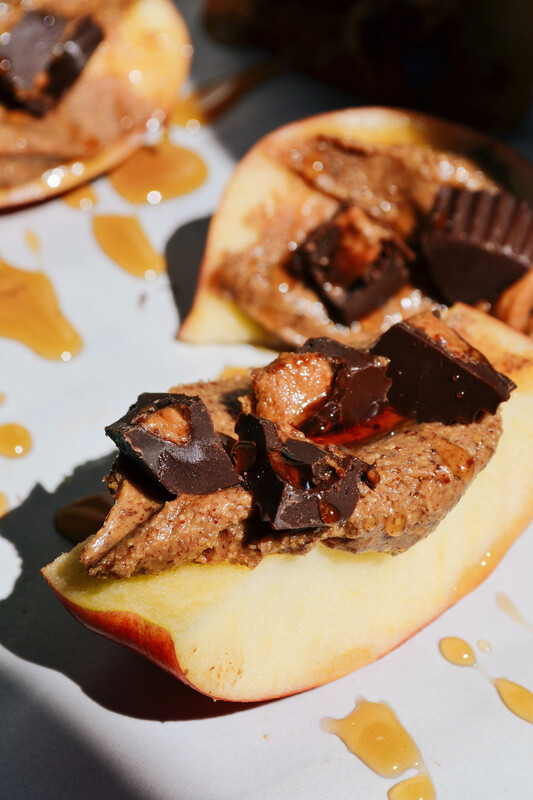 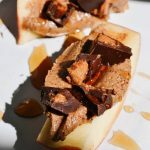 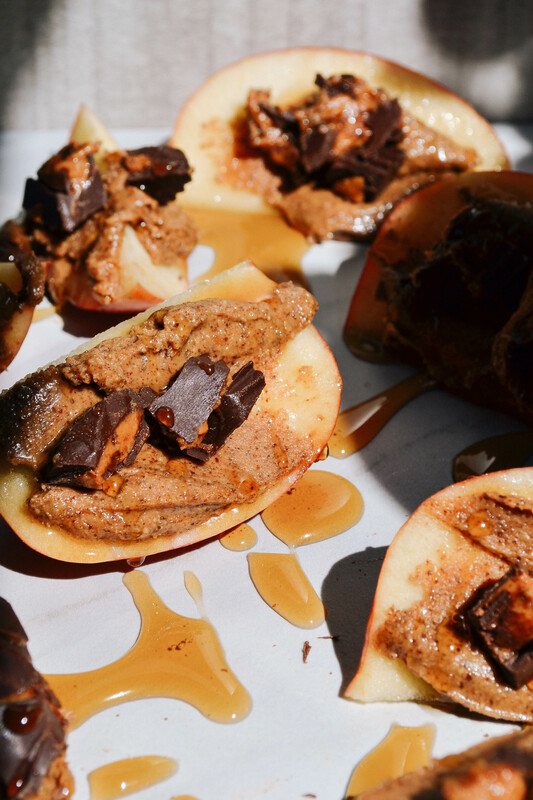 All jokes aside, these bites are packed with rich peanut buttery dark chocolate, creamy (cinnamon) almond butter, crisp apple slices and sweet syrupy honey goodness. 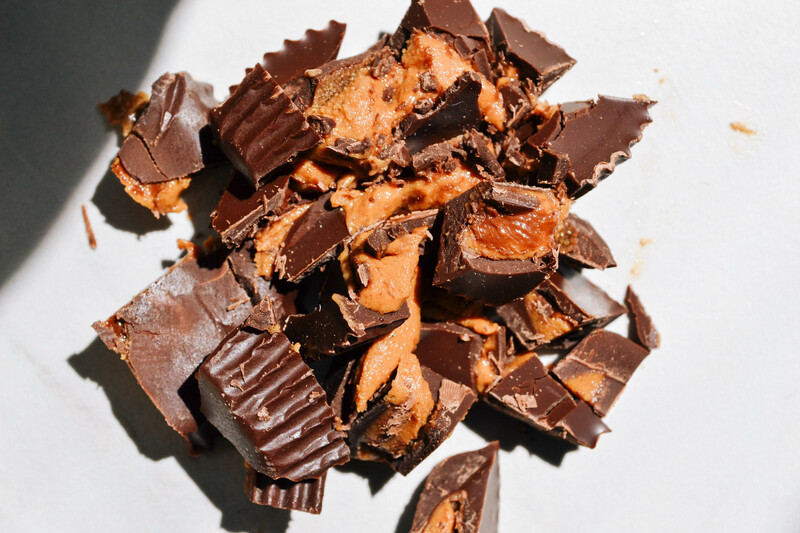 If you’re still confused as to why these are the bomb dot com let me break it down.